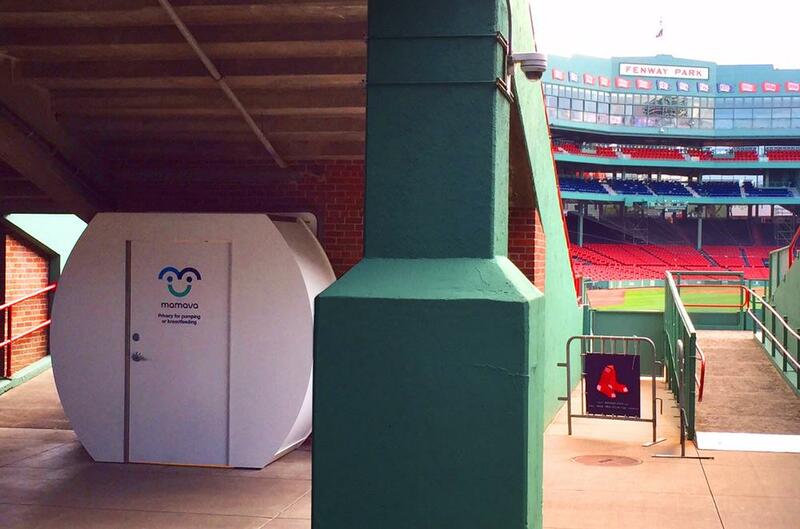 Fenway Park, home of the Boston Red Sox, has the first Mamava nursing station in a major league ballpark. Nursing moms who prefer to express breastmilk for their babies in private at the ballpark now have this quiet 4-foot-by-8-foot lactation space. Of course Massachusetts and Fenway park have breastfeeding laws and policies that give moms the right to nurse in openly nurse in public if they have to or prefer to.